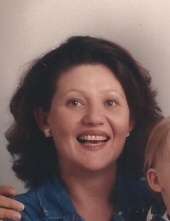 Tammy Darlene White, 55, of Alford, died Thursday, January 31, 2019 unexpectedly. Tammy was born May 15, 1963 in Montgomery, Alabama to Judy Faye Smith and Willie Melvin Watts, Jr. She was later adopted by Annie Pearl Clements Watts and Willie Melvin Watts, Sr. She married Kevin White on December 26, 1985 and raised one son, Keith Casey White. Momma Tammy was the most selfless person we have ever known. She enjoyed socializing with her sons friends, loved children, and cared deeply about everyone she met. She will be sorely missed. She is survived by her Papa, Kev; son, Keith Casey; sisters, Joyce, Marilyn and Melba; along with one brother, Cleveland. No public services are planned at this time. James & Sikes Funeral Home Maddox Chapel is in Charge of arrangements. To plant a tree in memory of Tammy Darlene White, please visit our Tribute Store. "Email Address" would like to share the life celebration of Tammy Darlene White. Click on the "link" to go to share a favorite memory or leave a condolence message for the family.